A full month ahead of Chinese President Xi Jinping's state visit to the United States, Chinese officials who were busy with the preparatory work had already acknowledged that the visit would not be easy. The visit was Xi's first official state visit to Washington since taking office, though his second visit as head of state. 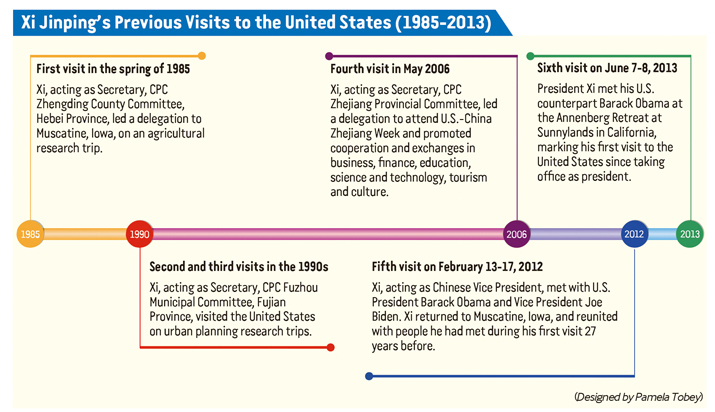 It would likely be the last time that U.S. President Barack Obama received a Chinese president in the White House, as Obama's term will expire in 15 months and such trips are relatively rare. More importantly, the visit came at a time that the points of contention of these global powers--across a range of subjects--have been steadily on the rise. With a U.S. presidential election looming, Washington's hawks, a handful of 2016 presidential candidates, and a chorus of Congressional members and state governors began to attack China under a range of pretexts. China's recent stock market turbulence, and the fact the country continues to enjoy a lopsided trade balance with the United States, gave the Obama administration's critics from both sides of the aisle ample ammunition to call for a change in policy. Indications showed that there are two widely held beliefs in the United States about how the United States should interact with one of its largest trading partners. One side believes that the U.S. Government needs to pursue a policy that "punishes China." The other side believes the United States must continue to pursue its engagement strategy, as ignoring China would isolate China at best and isolate the United States at worst. Compared with previous situations in which both parties would try to narrow perceived points of difference in order to create a favorable environment ahead of such a visit, this time the atmosphere preceding the visit was fraught with tension. Ahead of Xi's trip, Washington released warnings for China to stop the "fox hunt" for allegedly corrupt Chinese officials that had fled to the United States. To raise the threat level to its highest point--perhaps in the history of the China-U.S. relationship--the Obama administration confirmed it was considering imposing sanctions on China in response to suspected cyber-attacks on U.S. businesses. China, at the same time, took actions that caused ire in Washington. For instance, it sold its possession of U.S. bonds and increased gold deposit. Meanwhile, five Chinese Navy ships ventured into international waters in the Bering Sea off the coast of Alaska for the first time. As observers have noted, the bilateral relationship is bound to have tension given the competing interests of two countries with vast differences in political structures, cultural values, and economic and social systems. 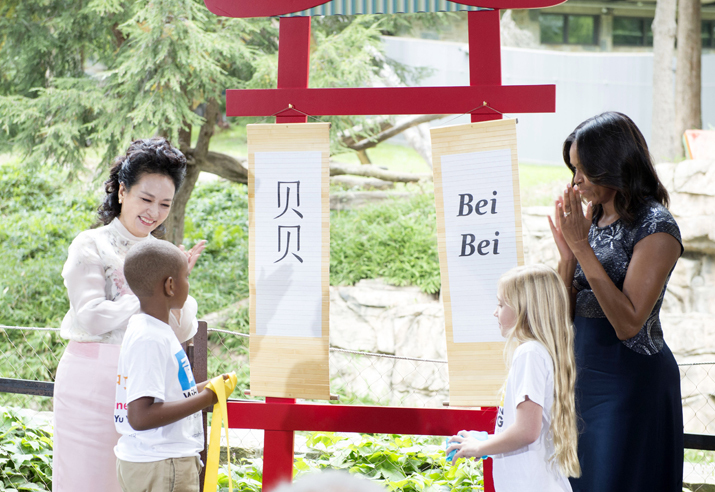 But keen observers of the China-U.S. relationship also pointed out that the two share significant interests. In the global village, the two countries' best options are peaceful coexistence, coordination and cooperation. As a former advisor to President Obama noted recently, a positive relationship doesn't mean the United States and China have to agree on everything; but it means they are willing to work together to find out where they can agree. China is widely seen to be seeking more international prestige as its stake in the global economy rises. Therefore, in spite of a myriad of contentions ahead of the China-U.S. summit, the White House insisted on the highest diplomatic welcome for Xi, arranging not only a state dinner in the White House, but several other high-level official meetings. A day before the summit, Obama held a three-hour-long talk with Xi the evening that he arrived in Washington, D.C. In fact, some reconciliation efforts were implemented in the immediate run-up to the summit. U.S. authorities assisted China in repatriating a Chinese corruption suspect; and the United States has so far withheld any announcement of sanctions in response to the alleged cyber-attacks. In an interview with Chinese media ahead of Xi's visit, former U.S. National Security Advisor and Secretary of State Henry Kissinger said frankly that "China will be growing, whether we accept it or don't accept it. Some of the problems cannot be solved alone by either China or the United States, like the climate, environment, proliferation, weapons of massive destruction, or cyber." The Chinese leadership firmly believes that a stable China-U.S. relationship is more conducive to the smooth development of China. Such an approach is a natural readjustment as China continues to increase its share of the global economy. 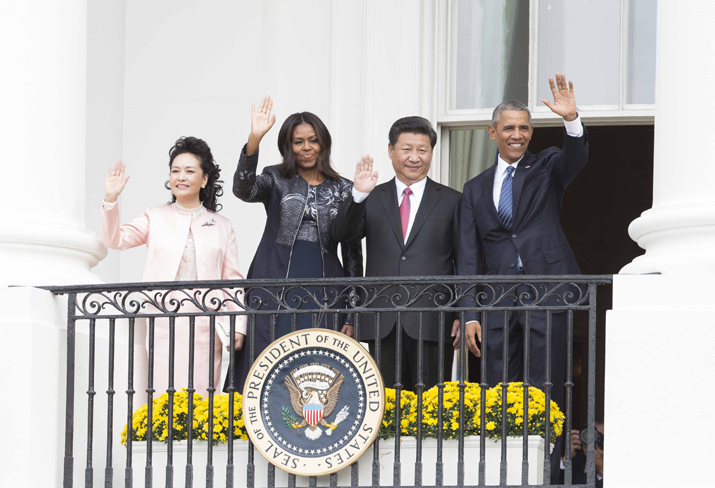 Despite unfavorable conditions, Xi's U.S. trip was surprisingly fruitful. 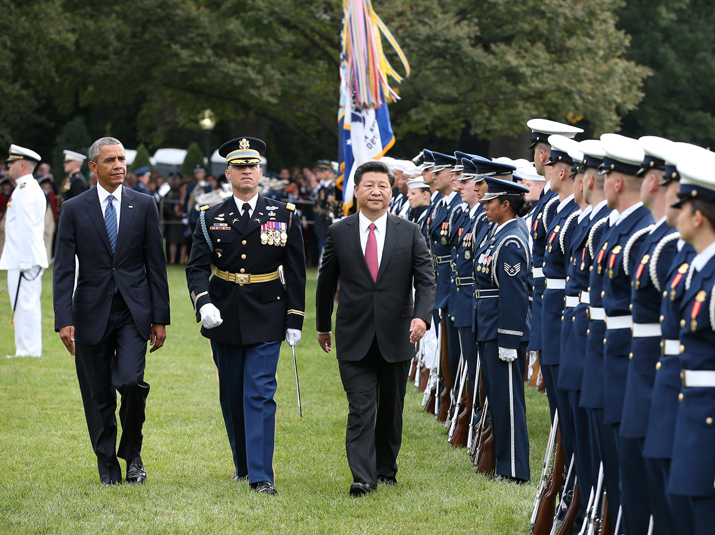 Firstly, Xi's visit reconfirmed the direction of relations between China and the United States. During the visit, the White House demonstrated its constructive engagement policy toward China and reiterated that it welcomes China's continued economic development and modernization. China also asserted its interest in strengthening dialogue and cooperation with the United States. The two leaders also confirmed that their respective strategic intentions are not aimed at excluding each other; and that they would continue to adhere to the principles of no conflict, no confrontation, interdependence, and mutually beneficial cooperation. Xi's visit underscored the bilateral cooperative route for strengthening global governance. Xi and Obama received international praise for their September 25 announcement of a national cap-and-trade scheme in China that will be launched in 2017. China's commitment to a launch date for the cap-and-trade system was long anticipated though not guaranteed. As the world's largest emitter of greenhouse gases, the program would make China the world's biggest carbon market. 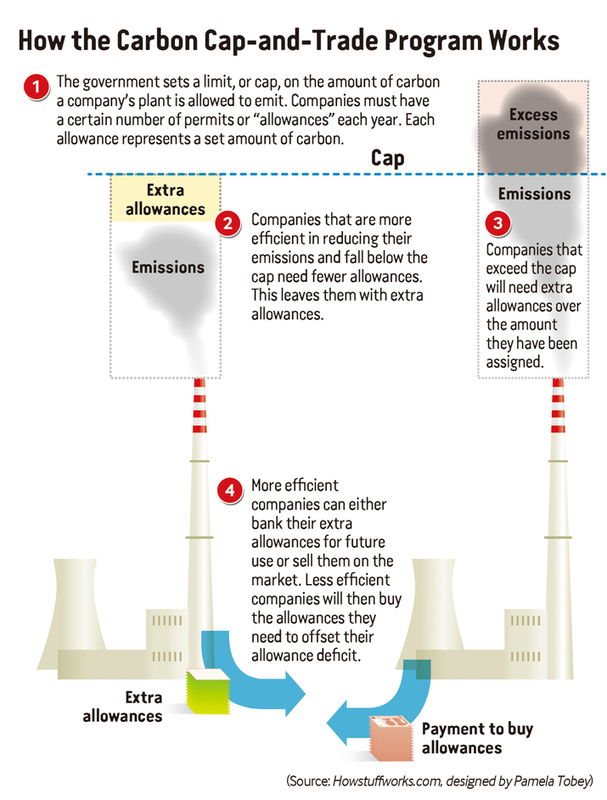 In overtaking the European Union, the move is expected to advance global efforts to put a price on carbon. The cap-and-trade plan was announced alongside a substantial financial commitment from China--up to 20 billion yuan ($3.14 billion)--to help the world's poorest countries fight climate change. The United States has pledged about the same amount--$3 billion--to the Green Climate Fund for poorer countries. This combined level of engagement is not only being hailed by environmental advocates, but is also a key step in advancing the bilateral relationship as China and the United States work together to mitigate the causes of and the risks posed by climate change. The two heads of state agreed to strengthen macroeconomic policy coordination between the two countries. They also reached important consensus in the fields of trade, energy, cultural exchange, climate change, environmental protection, finance, science and technology, agriculture, defense, aviation and infrastructure. Another critical achievement was the agreement to complete negotiations of the bilateral investment treaty (BIT) as soon as possible. In China, the BIT is being hailed as WTO2.0 because of its potential contribution to China's ability to strengthen its economic reform and its role in furthering market integration between China and the United States. Not long before Xi's visit, China announced the decision to adopt a negative list approach for market access, which will significantly increase the number of sectors open to foreign investment. This move will greatly increase the possibility for completion of the BIT negotiations before the end of Obama's term in office as it removes a major point of contention. The focus of Chinese-American economic relations is also increasingly shifting from trade to investment. The two countries are promoting the rebalancing of the world economy through respective structural readjustments. The achievements in the economic field during President Xi's visit began to reverse the increasingly pessimistic attitude toward the Chinese economy held by many Americans. It will also help incentivize the two countries to carry out more effective coordination on both monetary and financial policies. Both developed and emerging market countries have shared responsibility for securing the steady recovery of the world economy and solving global challenges. China and the United States should work together to play a leadership role on behalf of the international good. Xi's U.S. visit also sent an important signal that China's development is not meant to move anyone's cheese, but rather to create a bigger cake so that every country can enjoy the benefit of economic expansion. For instance, China's Belt and Road initiative and its proposed Asian Infrastructure Investment Bank are not aimed at competing for regional economic leadership, but to provide additional financing options and assistance to developing countries. Both China and the United States have reassured each other that they will be committed to safeguarding world peace and security. As such, the presidents agreed to increase communication in regards to activity in the Asia Pacific; and will never allow the region to fall back into an era of cold war and confrontation. The United States cannot hide or evade from the fact that its Asia-Pacific strategy centers on its relations with China, regardless of its close ties to Japan. The two presidents also had candid talks on other thorny issues with regard to the South China Sea and cybersecurity, and despite severe differences of opinion, agreed to continued dialogue. Xi's tour is a reconfirmation to bilateral friendly exchanges with his American counterpart. During the visit, Xi spent most of his time in exchanging ideas and interacting with U.S. officials, business leaders as well as the public, including teachers and students. During the visit, the two countries also announced agreements to promote education and tourism cooperation and exchanges. The most significant goal of Xi's visit was to redefine bilateral relations rather than focus on trying to solve each outstanding problem. Public policy is built by each successive, concrete action taken toward coping with global crises and challenges. Therefore a conclusion that can be drawn from Xi's visit is that if there are hundreds of reasons for China and the United States to compete and confront, equally, there are thousands of reasons for the two countries to sit down and engage in dialogue.